What happened to good ol' sportsmanship? Photo source is the Express (August 19, 2011). 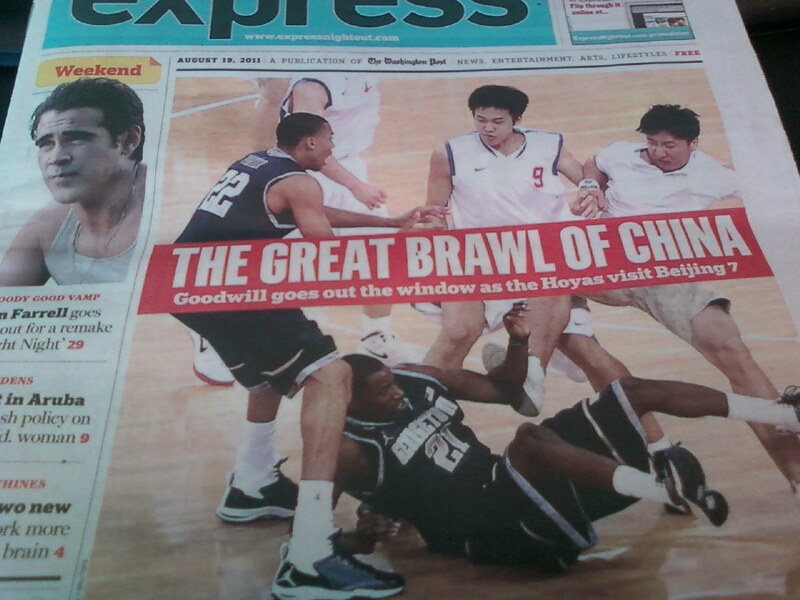 This basketball brawl is quite the talk of the town since the Hoyas are from the DC area. I read this on YahooNews the other day and was saddened about the unfortunate turn of events. kayi, normal na yan dito....he he! Just like what KG said, sanay na kami diyan,normal yan sa atin! i've heard of this on the news but wasn't paying attention. this is the goodwill game that ended in ill will. really sad.